A day of Rotterdam is not complete without a visit to the Euromast. With Hop-On Hop-Off you can see the city from the bus and when you reach the top of the mast you view Rotterdam also from a great height. 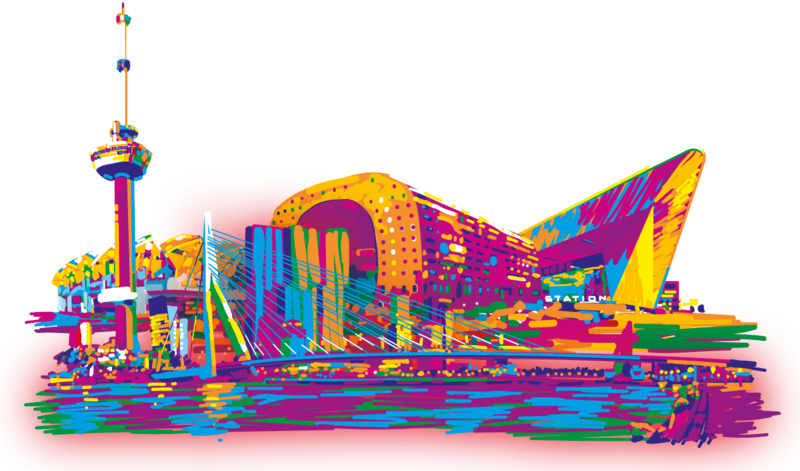 Who wants to visit Rotterdam good, books the combination ticket! The Euromast is located at bus stop 4. So in addition to beneficial a combination is also particularly easy and good. You can truly enjoy yourself here. Visit the Euromast park in Rotterdam to complete your day. Visit before or after the sightseeing tour the Euromast! Must be purchased through the City Sightseeing online booking system. Children up to 3 years costs are free at City Sightseeing Rotterdam and also at the Euromast.